In his talk, Samir explained how he uses a wide range of techniques from microelectronics to machine learning and surface engineering to determine if a patient’s sample contains breast cancer cells. Despite new advancements in targeted therapy and advanced diagnostics, cancer-related deaths continue to rise. In the USA, cancer is currently the second most common disease and is attributed to one in four deaths, at a cost of $250 billion per year. Professor Iqbal and his team are currently looking into creating a minimally invasive point-of-care device that can help with the early detection of breast and other types of cancer that are often detected late (stage 4). The creation of such a device, however, relies on many interdisciplinary areas outside of cancer biology and can extend to electronic engineering and even machine learning. On the biological side, there are many different properties that can be exploited for sensing, such as the surface receptors, size, charge and the density of cancerous cells. Researchers can manipulate these characteristics so that if cancer cells are present in a sample, they will adhere to a specifically designed surface and can thus be detected. This can be further tailored for breast cancer using specific aptamers that will not interfere with other types of cell but will interact with, and bind to, the specific surface receptors commonly over expressed in breast cancer. For the creation of these sensors, the team used a flexible nanotextured PDMS substrate with elongated surface functionalities composed of linker molecules, capture DNA and anti-EGFR aptamers (that are also complimentary to the capture DNA). Through real-time optical imaging, it was also found that metastatic breast cancer cells exhibit some unique behaviours; and these behaviours can also be used to visually identify if a sample contains breast cancer cells. The difference in behaviour between a healthy cell and a cancer cell can be characterised by gene expression, local signaling, the extent of growth/division and the morphology of the cells. Having so many variables means a large volume of data needs to be analysed per patient, which can be time consuming and subjective. This is where big data analytics and machine learning come into play. Using the sensor developed by Professor Iqbal, cancer cells from a given sample will become bound to the specific aptamers. This can then be followed up by real-time imaging and imaging segmentation. This data can then be fed into a machine learning algorithm against a predictive model to work out whether there are breast cancer cells in a patient’s sample. How can this be incorporated into a useable device? The team have incorporated the sensing component into a portable point-of-care device composed of a PDMS microfluidic channel located above the PDMS sensor, housed within a magnet-locked PMMA unit. The arrangement enables a fluidic sample to be passed over the sensor for analysis whilst keeping its flow. The substrate containing cancer cells can then be removed from the unit to undergo imaging and machine learning analyses. Overall, the research incorporates many areas that are not often associated with cancer research and culminates them together into a cohesive format, where they work in unison for the screening of breast cancer cells. 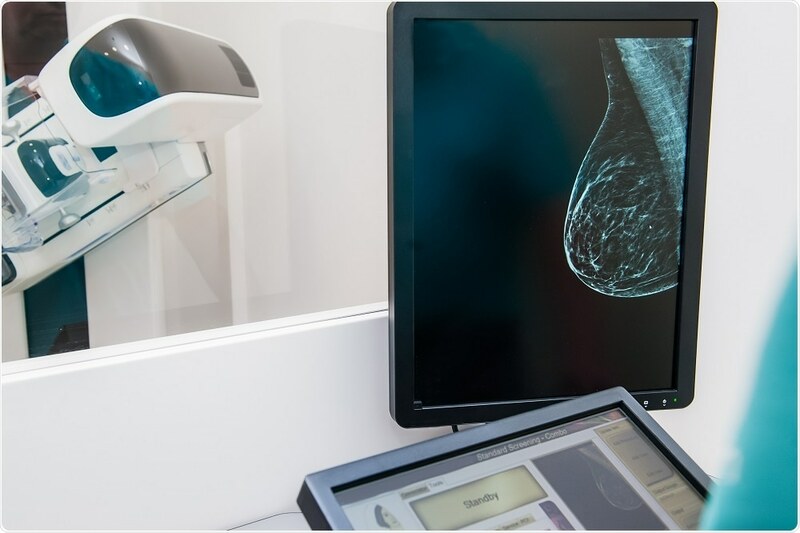 It will be interesting to see if the device makes it to clinical trials, as it could help to diagnose breast cancer much earlier on in the process than is currently available by today’s clinical methods.